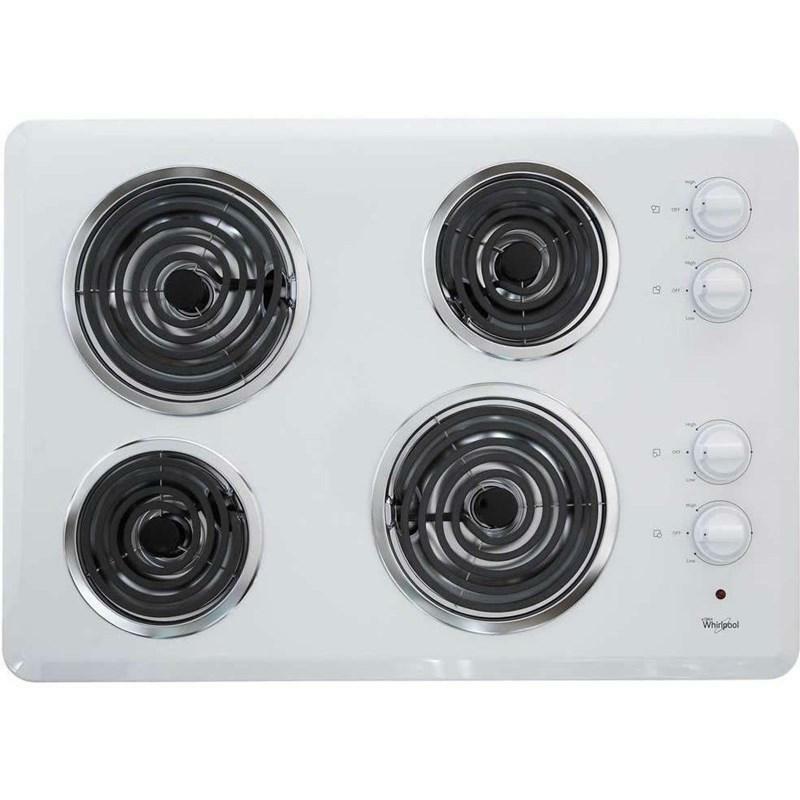 This Whirlpool® 30" Electric Cooktop features dishwasher-safe knobs. It provides two 8-inch and two 6-inch coil elements that offer you the heat to easily and quickly broil, fry or sear your meals. It also provides a porcelain SpillGuard™ cooktop to keep your cooking surface clean. Power Output Left Rear and Right Front element: 2350 watts, Left front element, right rear element: 1500 watts. Burner/Element Size two 8 inch elements. two 6 inch elements. Additional Information Infinite Switch, High speed coil elements that provide high temperatures for boiling and frying, dishwasher-safe knobs.